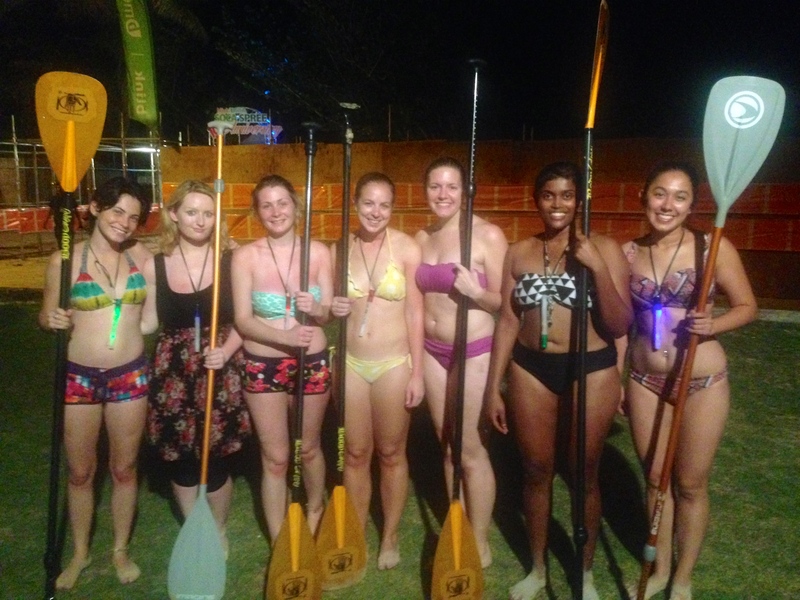 Bioluminescence Tobago with the ladies! 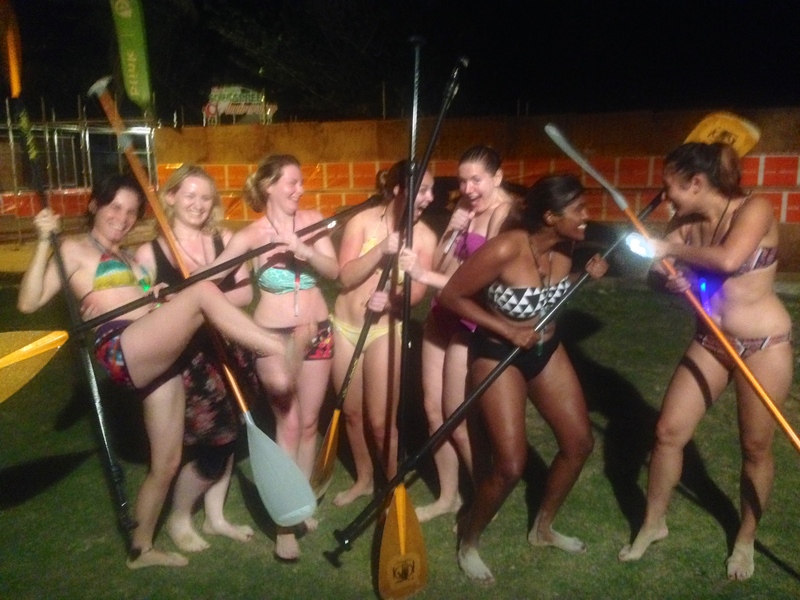 We never complain at Stand Up Paddle Tobago when we have a fun group like this. We had one of our local crew take a few friends from Ireland. New York and Australia were also represented. Our tour started out with stronger that usual breeze but it soon abated and we were blessed with fantastic bioluminescence. As you can see in the background there was a big concert on the Pigeon Point. So we had cool calypso music on our way out and when we returned. IRIE!